Celebrate the Sandwich! | Buoy. Oh, sandwich. You were first named in honor of the Fourth Earl of Sandwich who asked for meat and cheese on bread so he could eat with one hand to free up the other for gambling. We’ll throw some dough at that habit. There are TV shows in your honor, poems that sing your praises and songs dedicated to the insides of your two slices of bread. And, there’s an entire month to celebrate it. 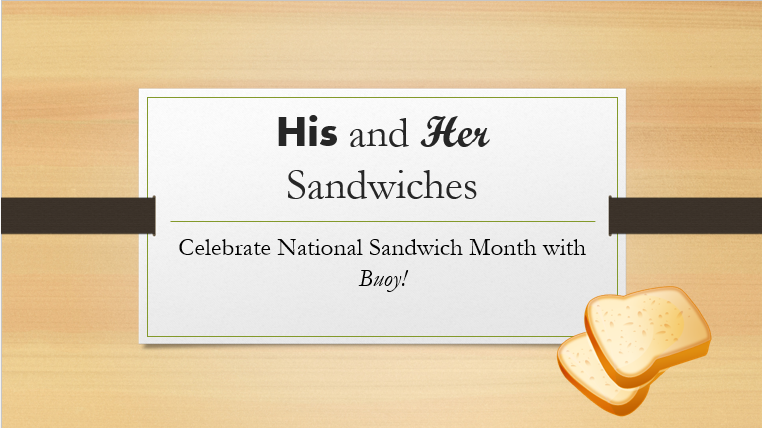 Join Buoy this week as we bring you our ultimate sandwich recipes, his and her style.